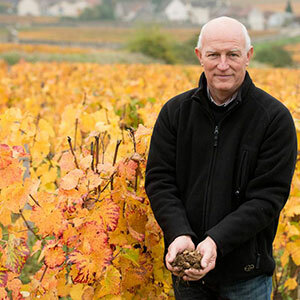 In his cellars, situated next to the church in the northerly village of Gevrey Chambertin in the Cote d'Or, Claude Dugat has gained a world wide reputation for producing high quality red wines. The wines see a high percentage of new oak so the style is modern and up front. Purists may argue over the liberal use of new oak but there are a large number of collectors in the world who seek out these fine, unfiltered wines. The Grands Crus here are Griotte Chambertin, Charmes Chambertin and Chapelle Chambertin – wines which command extremely high prices due to there extreme rarity and awesome quality.